Hack For Ageing Well is a two-day hackathon for projects that aim to improve conditions of life for older adults through the use of information and communication technology, and where teams will be coached and reviewed by international experts. The most impressive projects will be recognised at the AAL Forum, which starts right after the hackathon - and to which confirmed participants will receive a ticket. Join us in St.Gallen, Switzerland on September 25 and 26. Limited places are available, free of charge with meals and refreshments provided - so you should register soon! Opendata.ch is partnering with AAL Association in the organisation of this event, and we look forward to ideas and participants from the community! Follow #H4AW on Twitter and Facebook, and read the Q&A for some more background. Hunting for ideas ahead of time? We are looking for stories and datasets to get participants started, and will publish them at make.opendata.ch. There’s a form to apply with challenge / workshop / dataset suggestions - and I’m going to suggest a Data Expedition along the lines of the one we did at #glamhack. Any other ideas? right here. Mentions from the Open Knowledge community and an article in Computerworld.ch (in German) have added fuel to the fire. We are going to start collecting project ideas and datasets next week - check out this whitepaper from the Swiss government and presentations from last year’s AAL event for ideas. We’ve updated our hackathon website with ideas and links. Several groups have come forward with interesting platform and workshop ideas, and I’ve been doing more research on related topics. A quick glance at the news media reveals that the question of retirement finances is at the top of the political agenda, being one of the main subjects of the referendum next month. 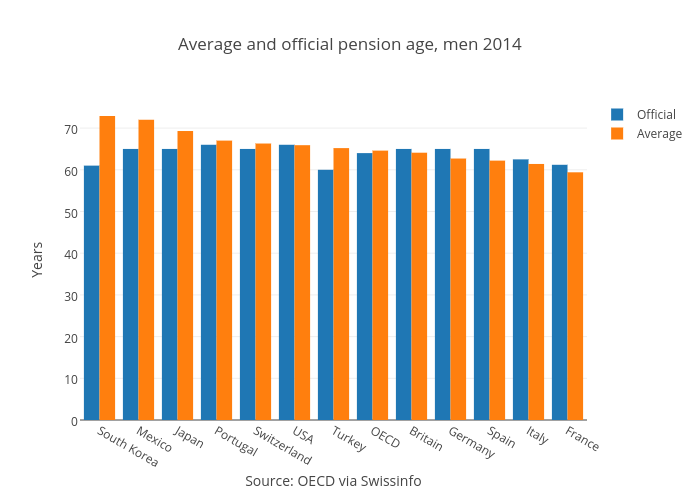 You can read more on the initiative at Swissinfo, who also made a series of infographics to illustrate the pension system in Switzerland, from where the chart above was adapted. Food & drink: all you can eat. Network: won’t settle for less than best. Prizes: oh yeah, there will even be a few prizes. Now we just need a few more participants to fill the room. Get ready for a sweet hackathon! I was really busy with running the event and we had a full schedule but I did sneak a brief introduction to the School of Data during the workshops. A couple of groups sat down with me to explore datasets or get help with some tools. I got some great feedback, and we were invited to do workshops at future hackathons. And I feel that I have learned a lot about this subject of ageing that I would like to find an outlet to share and develop in. All in all a very positive experience. Seven teams worked for two days to develop ideas along the themes of the AAL Forum 2016 in St.Gallen, Switzerland at the end of September. 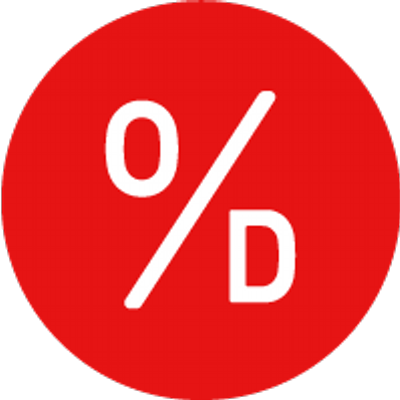 The event was organised with Opendata.ch, which runs a regular hackathon series, and located at Startfeld, the enterpreneurship hub of the region. We invite you to scroll through our Storify of tweets from participants, read our event and workshops recap, and check out all the projects here! By asking what helps connect friends and relatives to older people living alone or in care homes, this team decided it would be worthwhile to bridge the gap between digital and tangible communication. And right they were. Gerard (who works with a retirement centre in France), Martina and Katrin (designers from Germany skilled in software development) designed and prototyped an online service for sending photo-postcards which are collected in a cloud service and beautifully printed on site. The team won the AAL Hackathon award for their effort, and was invited to demonstrate their invention again at the AAL Forum. We trust this is just the beginning of this exciting collaboration! Katrin’s GitHub page includes a detailed presentation and showcase video. This team tackled the problem of finding appropriate social services on a national level, observing the lack of a single database for all cantons in Switzerland with comprehensive old-age issues. In order to support people using the Internet to get help, they created a prototype directory service for addiction support based on data from infodrog.ch. They demonstrated this in a live web application which visualises the data on the map and illustrates the services and how to get in contact or travel to them clearly. For their efforts in connecting people to destinations, they were awarded a prize from the Swiss Federal Railways (SBB). Their further goal is to build a national database which could be used to develop apps of other types. Documentation and the demo app can be found on their GitHub page. In response to our challenge to explore and collect data related to the issues of ageing, this team dived in to understand the challenges of socializing and motivating older people to take part in healthy activities. They analysed various scenarios for collecting data on the old age situation, proposing creative ideas such as to engage younger relatives in monitoring and supporting their elders. Their proposal includes a data collection process that would certainly benefit from a highly secure cloud data platform – and would prove to be of immense benefit for social research and policymaking if anonymized and published as open data. They looked at the market for apps that track health progress and created a business case that convinced our jury representing the AAL Forum, who recognized this team’s efforts with a startup boost prize from Pryv. Their presentation can be found here. Two teams decided to work on the topic of emergency assistance when on the floor and immobilized. They worked in the same room, exploring two different platforms to achieve a singular purpose. Gesture4Help is a smart watch which recognises repeated thumping of the arm and activates an alarm. They developed this noting that it is impossible in some situations to use both hands to use a watch. Voice4Help achieves a similar result using voice recognition on the Amazon Echo / Alexia platform. They prototyped additional scenarios such as contacting doctors or relatives, and showed us how this exciting new technology is developed. Both projects are summarised in a presentation you can download here. “Train travel can be overwhelming for the elderly”. This is the mission statement that this team committed themselves to in their goal to develop ideas around public transport and the mobility of seniors. They developed a concept of virtual assistants and intelligent services, helping older folks reach their destination by catering to their specific needs – such as reduced speed when going between platforms, more persistent notifications, clearer explanations, and help with orientation at busy stations. Extending an established concept from Italy (“Travel Angels”) into the digital realm, they designed and demoed their ideas with a conversational bot that uses messaging platforms such as SMS to interact with the user. More background and code can be forked on GitHub. One of the members of the SozialData team was really keen on the “Map your childhood” challenge, so between working on the other project – into the wee hours of the night, we assume – developed this demo. This web application allows the user to record a story which is transcribed using Google’s cloud speech to text service, detects locations and facts, and plots them onto a GeoAdmin map. The story snippets are beautifully displayed in an interactive presentation. While the demo glitched during the public presentation – something known as The Demo Effect – we saw it in action and liked it very much. Hopefully Stefan will find the time to polish this off and help us create Storymaps of our lives by voice. The code is available for forking at GitHub. Thomas started the hackathon by asking his elderly mom: what would really help you get through the day? Her answer was strikingly matter of fact: she likes cold cuts and suffers through opening the package. And so a hardware prototype was developed on Sunday at our hackathon of a tool to open vacuumed cold cuts. Ideal for trembling hands and less dextrous fingers, this type of packaging popular in Switzerland can now be opened with one easy motion! Sadly our participant could not be there on Monday to show it to the public and judges, but a bunch of us gave it a swipe or two on Sunday night, with no ham harmed in the process! See details and making-of on bitbucket. Massive thanks to all the participants, coaches and supporters for making this thought provoking variety of Hacks possible.